This is an extremely practical exposition of Philippians 4:11, I have learned, in whatever state I am therewith to be content, Watson spends the entire book on this one verse. He considers the great dishonor done to almighty God by the sin of discontent. 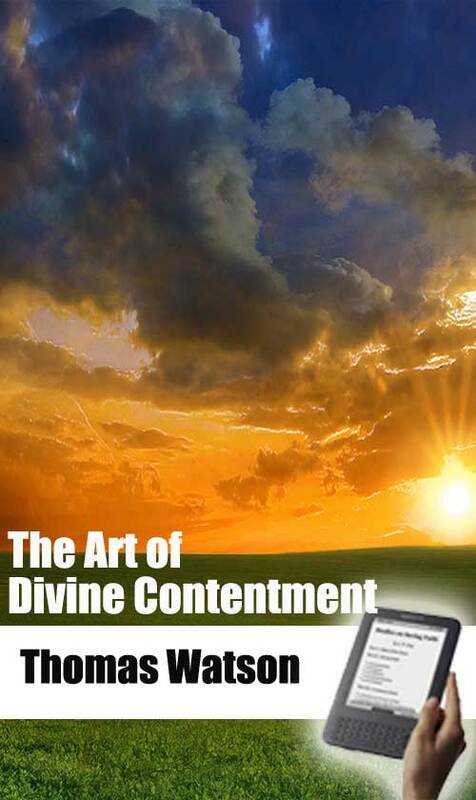 The doctrine of Christian contentment is clearly illustrated and profitably applied. The special cases where, through changes in providences, discontentment most commonly arises are examined and preservatives are applied to the soul. “Man is born unto trouble, as the sparks fly upward;” therefore we all need to learn the same lesson as Paul. “I have learned,” he said “in whatsoever state I am, therewith to be content,” Philippians 4. 11. Believers, especially, wish to attain to a holy equanimity in their tribulations and under the stresses caused by our increasingly secular society. Thomas Watson graduated from Emmanuel College, Cambridge, where he was known for being a hard student. He was a man of considerable learning, a popular but judicious preacher, and eminent in the gift of prayer. He is one of the most popular of all English Puritans and, certainly, one of the most readable. Watson pastored at St. Stephen's Walbrook in London. The building in which he pastored was destroyed by fire in 1666. After being ejected in 1662, he continued ministering in London for many years. He retired to Essex, where he died suddenly while at prayer.